Register today to join this workshop! 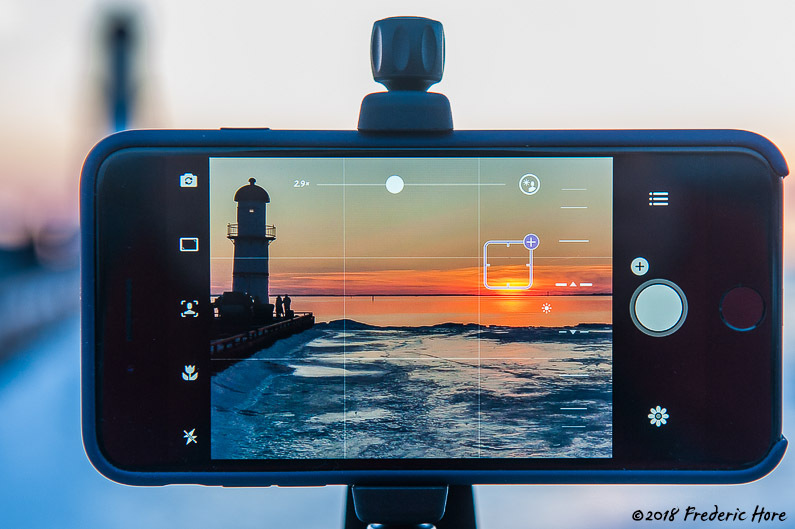 Learn how to Master your smartphone photography and video with superior apps like Camera+2 and Filmic Pro for stunning imagery. Go beyond everything in "auto mode", with fun tutorials and hands-on demonstrations using exposure and focus controls, slow motion effects, filters and more to enhance your images and videos. Filter and text apps will give you the stylistic tools to create your own photographic style. Suggested video apps demonstrated LIVE in class will show you how to produce truly dynamic HD - High Definition cinematic movies, plus how to upload them to social media! Learn the art of photography and video (your choice) through four challenging assignments and helpful critiques. Presented mostly in English, with questions answered in English and French. If you have a manual, bring it for access to sub-menus. - White Balance: How to select and adjust, and why it's important! A Resource List and "Where to Buy" directory is included. Four Photo or Video Assignments will help you practice techniques learned in the workshop and spark your creativity. Participants are encouraged to bring their smartphones in to evaluate and provide helpful critique of their projects. Then in the search box, type: photography. Press Enter.